My talk today at Liberty Hall Museum about about Discovering the Earliest Known Records of Alexander Hamilton and A “Jest” Gone Wrong: Nicholas Cruger’s “Supposed Duel” on St. Croix. The following essay is based on a speech, my first public speech about Alexander Hamilton, given on July 28, 2013, at the New Windsor Cantonment in conjunction with the Alexander Hamilton Awareness Society. It is reproduced below after some editing and links added to the relevant sources. An inquiry by Dianne Durante, who is writing a series of blog posts linking primary sources to lyrics in Hamilton: An American Musical, reminded me of this speech and I was prevailed upon to make it available to others researching this important topic. Throughout the War for Independence, Congress and the various states were unable or unwilling to provide for the army. The soldiers often went without clothing, without food, and without pay. Some in the Continental Congress wanted to do justice for the men who sacrificed so much for their countrymen, but the national government lacked the power of taxation and therefore never had enough money to provide for the soldiers. Upset at the neglect of them and fearing that the end of the war would mean being sent home without receiving what was owed to them, army discontent rose. Mutinies were common. Many soldiers talked of refusing to disband after peace was declared and some threatened to revolt against Congress. General Washington sympathized with his men. A look through his writings reveals that much of his correspondence dealt not with military matters but with the inability of the continental and state governments to properly provide for the army. Despite this, Washington believed strongly in civilian control of the army. In March 1783, an anonymous “Address to the Officers” circulated through the army camp at Newburgh. It called for a meeting to discuss the the demands of the soldiers and decide how to pursue their rightful claims. Fearing a mutiny or a coup against himself or Congress, Washington canceled the unauthorized meeting and called one of his own. At Washington’s meeting, which took place right here [at the New Windsor Cantonment], Washington pledged to do all he could to help the men of the army and urged them to be patient. Washington was at his best. He begged the assembled crowd, “Gentlemen, you will permit me to put on my spectacles, for I have not only grown gray, but almost blind in the service of my country.” Upon hearing these words and recognizing the sacrifice General Washington made for his country and fellow Americans, many officers were brought to tears and the so-called Newburgh Conspiracy evaporated. The claims of the army urged with moderation, but with firmness, may operate on those weak minds which are influenced by their apprehensions more than their judgments; so as to produce a concurrence in the measures which the exigencies of affairs demand. They may add weight to the applications of Congress to the several states… But the difficulty will be to keep a complaining and suffering army within the bounds of moderation. This Your Excellency’s influence must effect. In order to it, it will be adviseable not to discountenance their endeavours to procure redress, but rather by the intervention of confidential and prudent persons, to take the direction of them… Your Excellency should preserve the confidence of the army without losing that of the people. This will enable you in case of extremity to guide the torrent, and bring order perhaps even good, out of confusion. After the arrival of a certain Gentleman, who shall be nameless at present, from Philadelphia, a storm very suddenly arose with unfavourable prognostics… There is something very misterious in this business. It appears, reports have been propagated in Philadelphia, that dangerous combinations were forming in the Army; and this at a time when there was not a syllable of the kind in agitation in Camp… From this, and a variety of other considerations, it is firmly believed, by some, the scheme was not only planned but also digested and matured in Philadelphia; but in my opinion shall be suspended till I have a better ground to found one on. Was there a conspiracy originating in Philadelphia? If so, Washington refused to believe it without further evidence. Was Hamilton a conspirator? If so, Washington did not say so. Rather, Washington asked Hamilton to continue on the same course he had been pursuing so far. Let me beseech you therefore, my good Sir, to urge this matter earnestly, and without further delay… To prevail on the Delegates of those States through whose means these difficulties occur, it may, in my opinion, with propriety be suggested to them, if any disastrous consequences should follow, by reason of their delinquency, that they must be answerable to God & their Country for the ineffable horrors which may be occasioned thereby. For the next month, Hamilton and Washington corresponded about how to promote the funding system and keep the army in check. On April 4, Washington wrote to Hamilton, “Some men (& leading ones too) in this Army, are beginning to entertain suspicions that Congress, or some members of it” were using them “as mere Puppits to establish Continental funds.” Washington warned Hamilton “that the Army…is a dangerous instrument to play with.” The critics cite this as proof that Washington was disappointed with Hamilton’s playing with the army to promote a stronger national government. As Ron Chernow comments, “Washington must have seen that Hamilton, for all his brains and daring, sometimes lacked judgment and had to be supervised carefully” (Chernow, Alexander Hamilton 179-180). But Washington had not accused Hamilton of playing with the army. Washington wrote his warning generally and never implied that Hamilton was one of those men under suspicion. In fact, in that letter, Washington called out “the Financier,” Robert Morris, as the one “suspected to be at the bottom of this scheme.” He made no mention of Hamilton being involved in any way. Less than two weeks later (April 16), George Washington apologized to Alexander Hamilton: “My last letter to you was written in a hurry, when I was fatigued… possibly, I did not on that occasion express myself (in what I intended as a hint) with so much perspicuity as I ought—possibly too, what I then dropped, might have conveyed more than I intended; for I do not, at this time, recollect the force of my expression.” Washington then noted, “To Mr. Morris…or rather to Mr. G[ouverneur] M[orris] is ascribed, in a great degree, the ground work of the superstructure which was intended to be raised in the Army by the Anonymous Addresser.” Yet again, Washington did not accuse Hamilton of being involved in this conspiracy nor did he say that others had mentioned him as a conspirator. Rather, it was Gouverneur Morris who stood accused of egging on the discontented. But this accusation against Morris came not from Washington himself but from the very men who had threatened a mutiny against Washington and an overthrow of Congress and who now argued that they had been used as “Puppits.” Perhaps Morris had indeed encouraged these men. Or perhaps these men were now trying to shift the blame in an attempt to exonerate themselves. At this point, there is no evidence Hamilton was involved in any conspiracy. Some members of Congress had been accused of using the army as “Puppits,” but those were unsubstantiated accusations and only Robert Morris and Gouvernour Morris had been named as possible conspirators. No one pointed a finger at Hamilton. Here we have the first accusation against Hamilton of not only encouraging a conspiracy to overthrow Washington and the civilian government but that he was “at the bottom of the plan.” Yet again, the two Morrises also stood accused of being “at the bottom of the plan” alongside Hamilton. Who was this John Montgars? Was he a trustworthy, non-biased historian, as he claimed? And what was the source for his information? It turns out that Montgars invented this story, or at the least he never provided any evidence in support of it. Timothy Pickering, Nicholas Fish, John Brooks, David Cobb, Ebenezer Huntington, James Thacher, and others all said that they were eyewitness to the events that day or talked to those who had been and that Washington received no such letter from a Hardy, Harvie, or anyone else implicating Hamilton and the Morrises. Furthermore, it just so happens that this John Montgars was none other than John Armstrong. (Montgars is an anagram for Armstrong, except one “r” has been dropped.) Armstrong had been one the worst offenders in the Newburgh Conspiracy. He had written the anonymous “Address to the Officers,” though he denied it for decades, leading a number of historians to believe that someone else, possibly Gouverneur Morris, had been the author. Armstrong had also been an aide to Major General Horatio Gates, an old rival of Washington who had falsely accused Hamilton in 1777 of stealing a letter he had received from Thomas Conway attacking Washington. It was Gates who would have probably become commander-in-chief had Washington been overthrown or forced to resign. Thus, the long-lasting enmity between Gates and Armstrong on one side and Hamilton and Washington on the other reappeared during the Newburgh Conspiracy. Armstrong renewed this rivalry in 1820 as he tried to change the narrative of the affair in which he was involved. 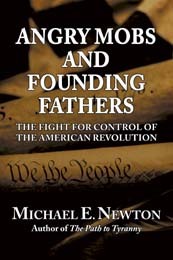 With Montgars’s identity revealed and his account refuted by other eyewitnesses, there is good reason to believe that the Newburgh conspirators, including Armstrong, were merely trying to shift the blame off themselves and onto Washington’s supporters—i.e., Hamilton and the Morrises. Certainly, their accusations against Hamilton and others remain meager and unsubstantiated. That is how things stood for the next 150 years. John Armstrong was known as the author of the “Address to the Officers” and one of the leaders of the conspiracy. The idea that Hamilton and the Morrises were involved in the Newburgh Conspiracy was occasionally mentioned, but was not believed by most because the evidence was meager and unreliable. Just read any Hamilton biography written prior to 1970. Few, if any, mention Hamilton’s involvement in any sort of conspiracy. In fact, the term “Newburgh Conspiracy” was rarely used in Hamilton bios prior to 1970. Thus, up until 1970, for all intents and purposes, Hamilton had no role in the Newburgh Conspiracy and was not only completely innocent, but was often commended for being a great help to Washington in preventing a disaster by warning him and providing him with solid advice. Then, in 1970, Richard Kohn wrote an essay called “The Inside History of the Newburgh Conspiracy.” In this essay, Kohn argued that Hamilton and the Morrises organized the Newburgh Conspiracy. 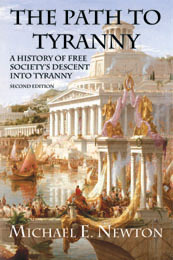 Ever since, this version of history has become mainstream and Kohn’s essay is cited by nearly all who write on this subject. The essay is too long (34 pages) and complex to quote here in full or to provide the relevant excerpts. I thoroughly encourage you to read Kohn’s essay and decide for yourself whether Hamilton was culpable. But I will give you a few short quotes from the essay to give you the gist of Kohn’s argument. There you have it! The argument that Hamilton was a leading participant in the Newburgh Conspiracy is based on speculation, implications, circumstantial evidence, and hints. Although John Armstrong, Richard Kohn, and their historical heirs accuse Hamilton of being involved in the Newburgh Conspiracy, there are a number of facts that are known with certainty that shows Hamilton to be blameless and even deserving of credit. We know that Hamilton forewarned Washington. We know that Washington and Hamilton were in agreement on the course to pursue. We know that Washington followed Hamilton’s advice. We know that Washington encouraged Hamilton to continue on the same course he had been pursuing in Congress. We know that Hamilton and the two Morrises became leading advisers to Washington after the conspiracy had ended, which Washington would not have done if he believed they encouraged a conspiracy to overthrow the civilian government and replace it with a military one. As the man to warn and advise Washington, as one who fought for truth and justice throughout the affair, Hamilton deserved the utmost credit, second only to Washington for his role in quelling this conspiracy. It is a real shame that Alexander Hamilton has been portrayed by so many biographers and historians as a villain or as an unsuspecting contributor to the Newburgh Conspiracy when, in reality, he was one of the heroes who helped Washington save the infant United States of America from impending collapse. “Everything is legal in New Jersey.” Duelling was not legal in New Jersey. New Yorkers chose Weehawken for their duels not because it was legal but because it was a secluded spot (a beach backed by a cliff). Hamilton and Lafayette declare, “Immigrants, we get the job done.” Lafayette was not an immigrant. He came to fight in the Continental Army and spent much time in the US during and after the war, but he never moved to the US or set up residency here. But there were many Europeans who did stay in the US after the war, most notably the Baron von Steuben. There is no doubt we can learn much from art such as the Hamilton musical, but let’s be sure we don’t confuse a musical based on history, which uses much poetic license, and real history. Alexander Hamilton: The Formative Years is now available for sale. The wait is over. After four years of hard work, Alexander Hamilton: The Formative Years is now available for sale. Don’t be so naive: the real reason the Treasury plans to remove Hamilton from the $10 bill. Up until two days ago, there was a growing movement to replace Andrew Jackson on the $20 bill with a woman. A bill was proposed in Congress to do this. A website was established to promote this idea. A poll was taken to choose a worthy woman to replace Jackson, which Harriet Tubman narrowly won, beating out Eleanor Roosevelt, Rosa Parks, and Wilma Mankiller. But then the Treasury suddenly and somewhat unexpectedly announced that it would replace Hamilton on the $10 bill with a woman. Why the sudden change? It all comes down to politics and public opinion. If the Treasury had announced it would replace Andrew Jackson with a woman, there would have been protests against it. Those who like Andrew Jackson would have argued that no woman was as important to American history as Jackson, who was a popular president and founded the Democratic Party. Those who are less favorable towards Jackson would have also opposed the move by asking why he should be replaced by a woman rather than another worthy male, such as John Adams, James Madison, or the very underrated Albert Gallatin. The public uproar against replacing Jackson with an undetermined woman may have forced the Treasury to cancel its plans. So the Treasury Department suddenly and somewhat unexpectedly announced that it would replace Hamilton on the $10 bill with a woman. Social media went berserk. How could the Treasury Department replace one of the leading Founding Fathers, the man who made the Treasury Department, the man who did more than anyone else to establish the U.S. on a solid financial footing? Not only are they making these arguments, they are also asking why Hamilton is being replaced instead of Jackson. Many have pointed out how Hamilton established the Treasury whereas Jackson shut down the Second Bank of the United States and opposed paper money (the country suffered a severe depression as a result). Many have pointed out how Hamilton opposed slavery whereas Jackson owned many slaves. Many have pointed out how Hamilton refused to shoot his opponent (Aaron Burr) in a duel whereas Jackson had an apparent blood lust when it came to duels, fighting in upwards of 100 duels according to some and killing at least one opponent. Many also point out Jackson’s genocidal persecution of the Native Americans. While these arguments are convincing and it is clear that Hamilton is a superior candidate to stay on the U.S. currency, we have fallen into the Treasury Department’s trap. By defending Hamilton as worthy to remain on the $10, we have given the Treasury all the ammunition it needs to remove Jackson. Instead of debating which individuals most deserve to be on our currency, we are instead arguing about who to remove from our money and which woman to put on it. We should instead be debating which individual, regardless of race, religion, or gender, deserves to be on our currency. But I’m afraid we’ve already lost this argument. If the Treasury succeeds in replacing Hamilton on the $10, it won’t be long before Jackson is replaced on the $20 and Grant on the $50. (Washington, Lincoln, and Franklin are too popular and likable to replaced, at least for now.) If we succeed in convincing the Treasury that Hamilton should stay, they’ll instead replace Jackson with little public uproar and it won’t be long before Grant is also replaced. I would not be surprised if we see the faces on certain bills changing every 10 years or so to satisfy all the different minority groups. The decision as to which people will be featured on our money will become part of the political debate and the different political parties will attempt to buy votes of various interest groups with the promise to put a member of their group on our currency. We must challenge the Treasury Department’s decision to remove Hamilton from our $10 bill with all the power and influence in our possession. But we must be sure to do it correctly. We must argue that our money should feature those Americans who contributed the most to our nation regardless of race, religion, or gender. If we fail, not only will Hamilton be removed from the $10 bill, Jackson will be removed from the $20, Grant will be taken off the $50, less deserving individuals will appear on our currency, and I predict that our currency will ultimately feature a rotation of individuals chosen for political reasons and our money will lose the respect that it earned thanks largely to the work of one and only Alexander Hamilton. May 11, 2015 – PHOENIX — Historian and independent author Michael E. Newton successfully raised over $9,000 on Kickstarter to fund the publication of ‘Alexander Hamilton: The Formative Years,’ which promises to be “a more comprehensive and accurate account of Alexander Hamilton’s formative years.” The book has received rave reviews from Hamilton authors and scholars, helping the Kickstarter campaign reach its goal. Two days remain in the campaign, giving interested readers time to support Mr. Newton’s work and to pre-order copies of the book. A signed copy of the book is being given to each backer who pledges forty dollars, the book’s cover price. An unsigned copy can be had with a thirty dollar pledge. The campaign ends at 10 p.m. Eastern on Wednesday, May 13, 2015. ~Dr. Salsman received his B.A. in Government and Economics from Bowdon College (1981), his M.B.A. from NYU’s Stern School of Business (1988) and his Ph.D. in political economy from Duke University (2012). In the 1980s he was a banker, including at the Bank of New York and Citibank. He is founder and president of InterMarket Forecasting, Inc., an investment consulting firm. Salsman has published two books and dozens of articles on money/banking, forecasting, and political economy. His forthcoming book is The Political Economic of Public Credit. Just three days remain (until May 13, 2015) to support the publication of Alexander Hamilton: The Formative Years by pre-ordering your copy today. The Kickstarter campaign has raised over $7,000 so far, but we need your help to reach our $9,000 goal.